An old saying in the Estonian language is “Kellele ema, kellele tütar.” It means, “Some prefer mothers; others favor daughters.” This assertion fits many Estonian locations. Some love them, and others will prefer other places. When the Soviet Union occupied Estonia in the 1940s, the Kremlin began to move some of its people to Estonian cities, mainly from Russia, but also from other parts of the USSR. The policy was called “Russification,” and the aim of the program was quite simple: Obliterate all traces of Estonian culture and language. This effort was a major assimilation initiative aimed at every non-Russian-speaking territory of what President Ronald Reagan called the “evil empire.” While it was quite successful in some parts of the Soviet Union, in other regions, people refused to become Russian, and Estonia was certainly one of them. One Estonian city, in particular, managed to avoid the Soviet influence–and people–better than others, mainly because Soviets were reluctant to move there, for whatever reason. The city was, and still is, called Viljandi, and while the Soviets may not have liked its vibe, the city should nevertheless catch everybody else’s attention. And in a way, it always has. The first records of civilization of today’s Viljandi date to the 5th millennium B.C. Viljandi was a member of the Hanseatic League, a medieval commercial and defensive confederation of merchant guilds in Northwestern and Central Europe, and was one of just five Estonian towns and cities admitted to that league. The historically influential Estonian newspaper Sakala was founded there in 1878, and Viljandi is–to this day–considered the cultural capital of Estonia, partly because the Viljandi Culture Academy is there. In addition to its historic glory, there are endless spectacular sights and places any movie maker will inevitably fall in love with. 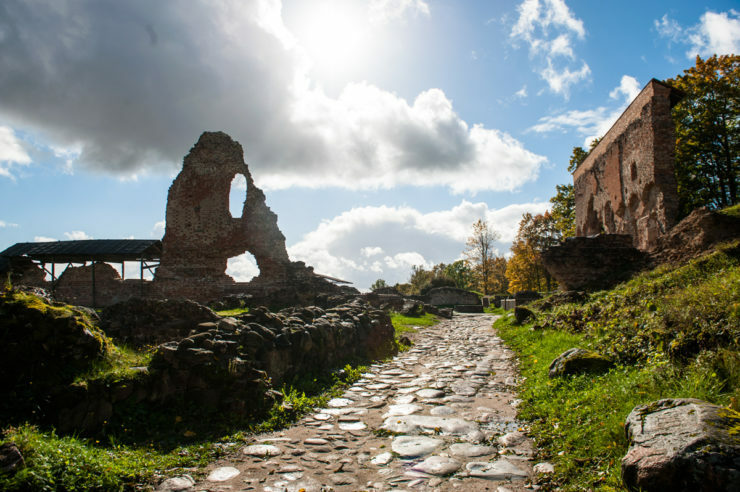 Take an afternoon stroll among the ruins of the ancient Viljandi Castle, and you’ll understand why. The Livonian Order started to build it in the early 13th Century, and the castle became identified with the town until it was destroyed during the Polish-Swedish wars. The ruins, however, are magnificent, and so is the view of Lake Viljandi, a picturesque body of water at the bottom of a primeval valley. There’s also a legend associated with the lake, one perhaps more suitable for another yet-unwritten movie script. Once upon a time, a young man took a lovely girl boating across that lake on a summer evening. The girl had blue eyes and other amazing endowments . . . suffice it to say, she was too irresistible not to fall in love with. Nobody seems to know what happened on the lake after the girl waved goodbye. The boatman, however, now pictured as a grizzled old man, is said to still row on the lake, hoping to see those incredible blue eyes again. Perhaps this is not the sexiest movie material, but the legend has nevertheless made it into popular culture, and it is the theme of one of Estonia’s most famous songs. Whatever the theme of your movie, though, Viljandi has you covered, at least as far as locations are concerned. The Soviets hated the place, but everyone else seems to be in love with it. 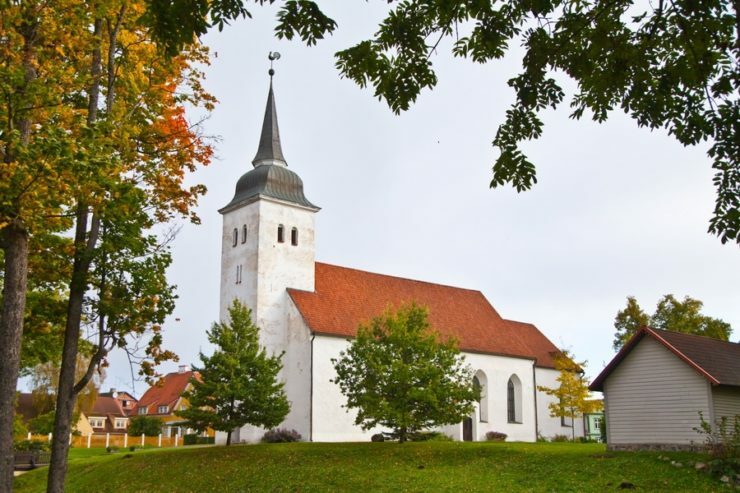 And shooting your entire movie–or parts of it–in Viljandi can save you a solid 30 percent cash rebate on eligible production costs, just as it will in any other place in Estonia.